I bought four A.A. Allen records at Goodwill last week, not for their covers, but for something I’ll show you later. A. A. Allen was an old-school tent preacher who cast out demons and made the lame walk. He died in 1970 after a heavy drinking binge. That is one seriously enlarged heart. I have a few albums of tent preachers recorded in action and they’re all pretty awesome. 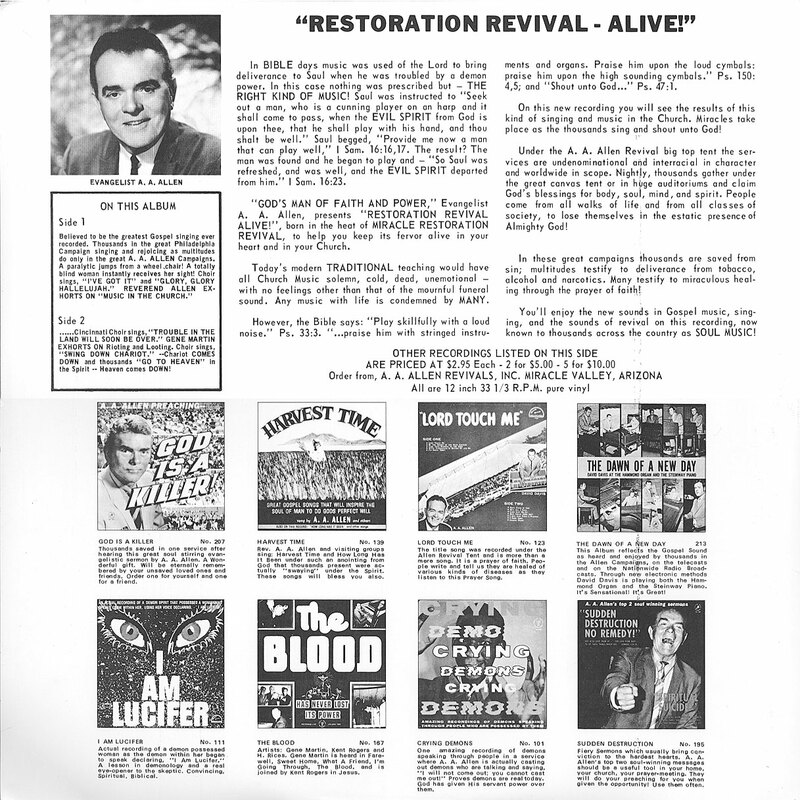 On this one, Allen isn’t railing against Satan so much as boring church music. Side two features some pretty awesome black gospel singing.